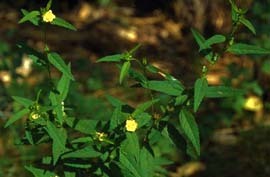 This is a small herb, leaves are serrate and looks like wedge and flower are yellow. Normally found after getting monsoon on road sides. To stop bleeding on cuts and wounds. Just apply the leaf as paste by grinding well on fresh cuts.